Established in 1992, Scott & Co are an Edinburgh-based debt recovery agency, specialising in Local Authority debt collection and enforcement and are the largest provider of such services to Scottish Local Authorities. Scott & Co are Scotland’s biggest employer of Sheriff Officers and Master-at-Arms, providing services to both public and private sector companies and dealing with consumer and commercial debt. Scott & Co are members of the Credit Services Association (CSA), the Institute of Revenues, Rating and Valuation (IRRV), the Institute of Directors (IoD) and the Society of Messengers-at-Arms and Sheriff Officers (SMASO). Why Are Scott & Co Contacting Me? If you have been contacted by Scott & Co, it’s because they believe you owe money. 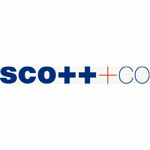 Scott & Co deal with a number of different creditors across Scotland, but specialise in Local Authority debt. You may receive contact from Scott & Co if you have failed to pay your Council Tax by its due date, for example. If you fail to make your council tax payments on time, you will first receive reminder letters from the Local Authority. You’ll receive a reminder requesting payment within 7 days, with the option to pay by instalments. If you still do not pay, you’ll receive a further reminder asking you to pay this time within 14 days, but the pay-by-instalments option will have been withdrawn. After this, your Local Authority can apply to the Sheriff Court for a summary warrant and, if it’s granted, will pass on your details to Scott & Co.
How Can I Prevent Further Action From Scott & Co? When your Local Authority applies for a summary warrant, a 10% penalty will be added to the amount of council tax you owe to cover the cost of the warrant. The easiest way to prevent escalating charges being added to your debt is to pay up. If you cannot afford to repay in full, you should contact Scott & Co to arrange an affordable payment plan. Enforcement action can be prevented or stopped by making a payment to the council or Scott & Co.
You can put a halt on further action by applying to the court for a Time to Pay Order. A ‘time to pay order’ allows you to make debt repayments by smaller monthly instalments. You can find more information about how to apply for a ‘time to pay order’ here. You may also be able to stop Scott & Co from being able to take money from your bank or wages, seize your property or make you bankrupt by applying for a debt-payment programme under the Debt Arrangement Scheme (DAS). The DAS will freeze interest and fees on your date from the date you apply, and diligence against you by your creditors will be suspended. A debt-payment programme under the DAS will give you time to pay off your debts. If you do not take any steps yourself to repay, Scott & Co can ask your employer to make regular deductions from your net pay to clear your debt instead. These deductions will continue until you have repaid the debt in full and will include Scott & Co’s fees. You must be sent a Debt Advice and Information Package within 12 weeks before being served with an earnings arrestment. You could prevent an earnings arrestment by getting a ‘time to pay’ order. Scott & Co could freeze your bank account if you fail to make a payment arrangement with them to repay your debt. A bank arrestment freezes your bank account until you give permission (mandate) for a lump sum to be taken to cover your debt, either in full or part-payment. If you refuse to give permission, the bank will automatically release the funds after 14 weeks. While your bank account is frozen, any direct debits or standing orders you have will be stopped, meaning you could fall behind with other bills. Sheriff officers must leave a minimum of £494.01 free from arrestment and you could ask for further funds to be released if the bank arrestment causes you significant hardship. You could prevent a bank arrestment with a time to pay order. This is where sheriff officers seize property belonging to you, to sell at auction to recover your debt. The sheriff officers can enter garages, outbuildings or business premises, even if they’re locked, but they can’t enter your home. Before an attachment of property outside the home is carried out, the sheriff officer must show you the summary warrant and give you the opportunity to pay the debt and expenses owed. This is where Scott & Co’s sheriff officers can seize property inside your home. The creditor must apply to the Sheriff Court for an exceptional attachment order and this step should be a last resort. Sheriff officers will look for any valuable assets they can sell to pay off your debt. There are restrictions on the items that can be seized – sheriff officers can’t attach tools you require to carry out your job (up to £1,000) and any vehicle you need (up to £3,000). They must also leave you with items you need for day-to-day living such as clothes, bedding, cooker and fridge. An inhibition is a court order which prevents you selling your home, property or business premises. This is so you can’t sell a major asset and still not pay your creditors. If you are unlikely to be able repay your debts and owe over £3,000 a creditor could seek to bankrupt (sequestrate) you. This will prevent any creditors, or Scott & Co, being able to use diligence against you, but has serious consequences on your credit file, potentially your employment, and puts your assets at risk. How Can scottishtrustdeed.co.uk Help Me? 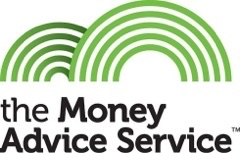 Debt Management Plan – an informal agreement with your creditors to make affordable monthly repayments. Debt Consolidation Loan – Use the loan to pay debts with multiple creditors, enabling you to make one single monthly repayment instead. Minimal Asset Process (MAP) – a form of bankruptcy for those with a low income and few assets – you might be able to get your debt written off (Scotland only). Scottish Trust Deed – repay affordable amounts over a fixed period (typically 48 months) then have the rest of your debt written off. Debt Arrangement Scheme – helps you repay over a reasonable length of time, at a rate which you can afford (Scotland only). IVA – another form of debt repayment plan for people with unmanageable levels of debt. Bankruptcy – if you have unsecured debts you can’t afford to repay, bankruptcy (called sequestration in Scotland) could help clear your debts, but has serious consequences and impact on your credit file. When making a complaint, it is good practice to put your complaint in writing so you can easily refer back to what’s been said. You should label your letter or email with the word ‘complaint’ to make it clear that you want your letter/ email to be dealt as such. You should always seek to resolve your grievances directly with the company in the first instance. If you are not happy with the result of your complaint, you can escalate it further by referring it to the Credit Services Association. Can I make a complaint about Scott & Co’s sheriff officers? You should discuss your complaint with Scott & Co first. If they fail to resolve your problem, you can refer your complaint to the Sheriff Principal at the local sheriff court or SMASO. Can Scott & Co take my personal belongings? Yes. If Scott & Co’s sheriff officers have an attachment order they can remove your goods to pay your debt. They need an exceptional attachment order to enter your home.